The Texas Department of Motor Vehicles (TXDMV) offers a wide range of options for ordering personalized license plates (vanity plates) for a lot of different vehicles, which gives you plenty of choice to create a license plate that suits your needs. Options include background only personalization, in which a person has the option to choose from over 100 different background styles and colors, personalized or “luxury” options, in which a person can choose from over 100 different backgrounds, as well as messaging of up to six letters/numbers, and the 7-letter personalized or “freedom” option, which offers over 30 different background choices and a seven letter/number combination for messaging. 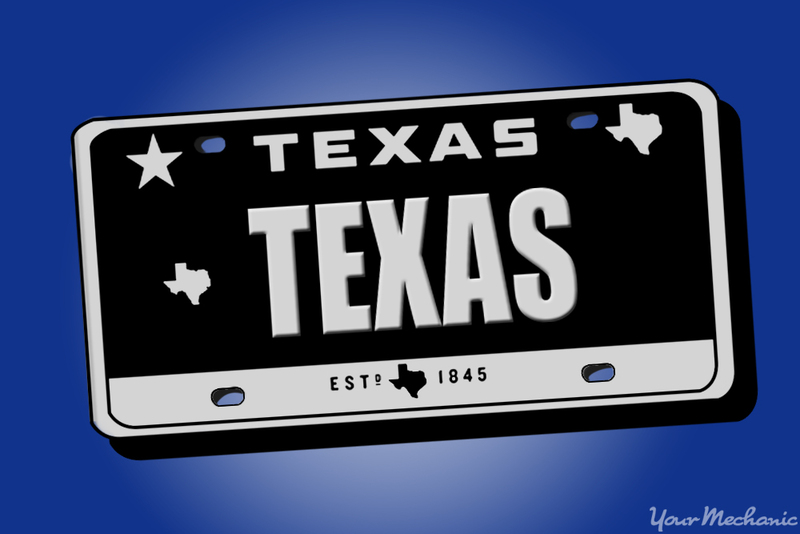 Cars, light trucks, motorcycles, trailers, motor homes, RVs, and private buses can obtain personalized plates in Texas. There are also a couple different vendors that sell personalized plates in Texas, namely, the TXDMV and MyPlates.com. If you’re a resident of Texas and you’re interested in purchasing personalized licenses plates for your vehicle, follow the steps below. Step 1: Visit MyPlates.com or Texas DMV website. If you own a vehicle that meets the legal requirements for obtaining personalized plates, go to MyPlates.com or to the TXDMV website. Note: You can also call 1-888-368-4689. Step 2: Choose the best option for you. Browse the options you find and decide on the best option for you. Among the many different background options you can choose from, some include universities and colleges, sports teams, or other organizations. Each option comes with its own set of pricing and application process. Step 3: Find a complete list online. Go to the website and see a complete list of different teams and organizations available. Step 4: Determine the availability of your plate. By clicking on the respective team or organization you want to represent, you can check the availability of your license plate’s message. Note: Beneath the availability box, there is an ordering section where you can see purchasing options before you begin your application. Step 5: Decide whether to order by mail or in-person. Make a decision regarding whether you want to apply via mail or directly in-person. If ordering by mail, you must download, fill out, and print the respective PDF application paperwork that is directly below the ‘Ordering Information’ section. If ordering in person, you must go local TXDMV branch, or call to make an appointment ahead of time. Keep this in mind as you decide what best fits your schedule and needs. Step 6: Print the application or proceed online. Once you have claimed an available, unique message for your license plate template, proceed with the application online or by printing the respective PDF. Note: When printing the PDF, you must choose the county you live in, which will give you specific information for mailing your application and payment, and contact information if you have any specific questions before you proceed. Step 7: Acknowledge your eligibility. Before filling out the application online, you will need to accept the “Eligibility Requirements” section. This outlines certain requirements you must acknowledge before submitting a valid application, such as legal age (18), your status as a Texas resident, and that you are paying with a certain type of credit or debit card, such as Visa or Mastercard. Step 8: Enter current vehicle information. Enter your vehicle information to determine its eligibility for your specific license plate. You do not have to fill out this section, but it is highly recommended to be 100% sure that your application will be processed and accepted. Step 9: Enter the characters of your license plate. In the next screen, “Special Plate Information”, enter the desired characters to appear on your plate. If you have already determined the uniqueness of your plate, enter the plate you’ve chosen. If not, you might want to go back to the first screen (outlined in Step 2) to make sure your plate is original to ensure a successful application. Warning: Once the application has been submitted, you cannot receive a refund for fees. Step 10: Enter personal information. Proceed with the application by entering your personal information: name, address, phone number, and email address. Step 11: Enter payment information. At the payment verification screen, enter all of your payment information. Select the type of credit or debit card you’d like to pay with and verify the number of the card, the three digit security code on the back of the card, the issue and/or expiration date, and the full name printed on the card. You can submit payment once you have verified this information. You will also be able to select whether or not you’d like to pay for registration renewal in advance, for up to five years. Tip: If you’re sending your application by mail, do not send cash. You must send a personal check. Step 12: Receive your plates. Once you’ve submitted your application, you must wait about three to four weeks for the plates to be mailed to your county clerk’s office. Once they arrive, pick them up and place them on your vehicle. Tip: If you would like more information regarding pricing, or if you have any other questions, go to the MyPlates.com FAQs page. Getting a personalized license plate is a wonderful way to add a little flavor to your car or represent your college or university. The process of getting one is straightforward in Texas, and you shouldn’t let any concerns over it prevent you from making a nice addition to your car. If you need help installing your plate, Ask a Mechanic for some helpful advice, and if you notice your license plate light is not working, have one of our certified mechanics replace it.